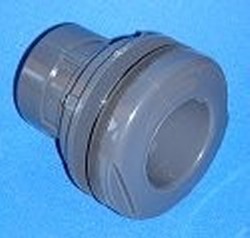 Schedule 80 1/2" bulkhead fitting (1/2" FPT on the front and back) With Neoprene gasket. 150psi at 73F rating. NSF-61 Potable Water Rated. 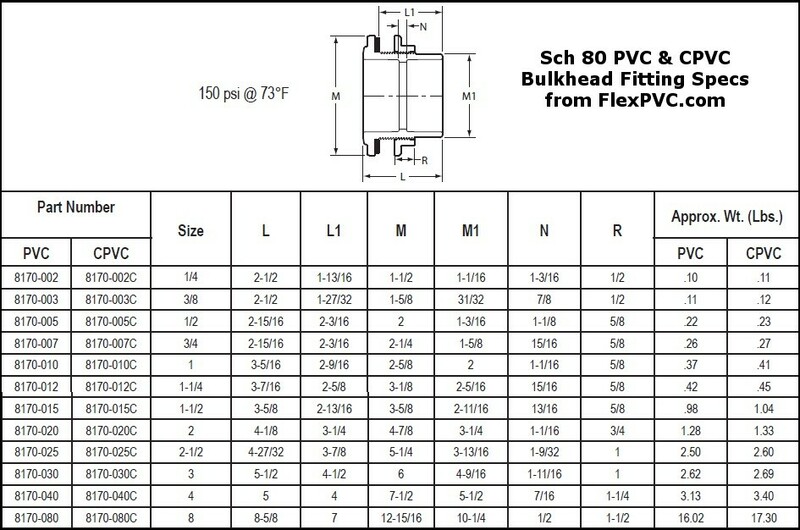 (EPDM and Viton gaskets available at additional cost, please email us your needs. Thank you.) Click here for specs (M1 is the hole diameter). (Picture shows slip sockets, but this will be female pipe thread on both sides.) For wall thickness up to .47".